Every few years there is a revival of metals in interiors and depending on what type of decor style you enjoy, the trend may fit your home beautifully or you may choose to find another metal. Copper is one of those metals that has a warm glow but can also look rustic and natural while lending a rosy hue to everything it touches. 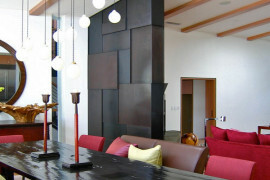 Take a look at copper and see how this gorgeous metal will look good in any room that it graces. 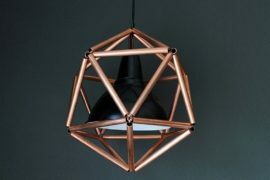 If you have forgotten about how many different ways you can use copper, take a look here and gain instant inspiration. 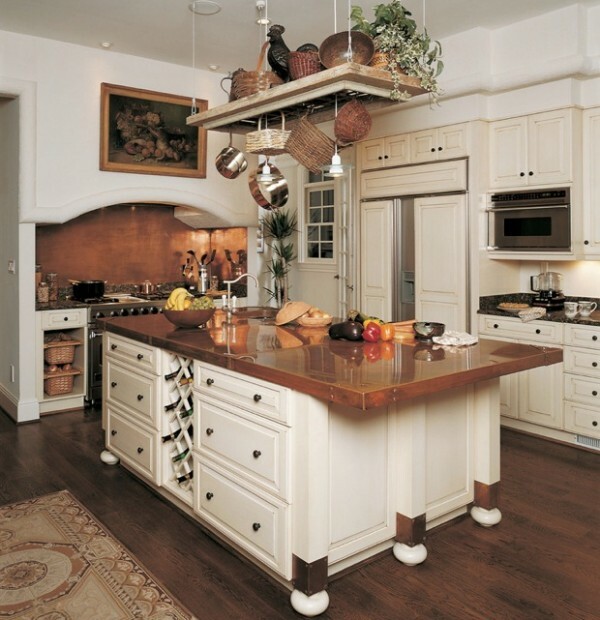 In many kitchens copper has been known for it’s presence in stove vent hoods and for displaying copper cookware and hanging pot racks. 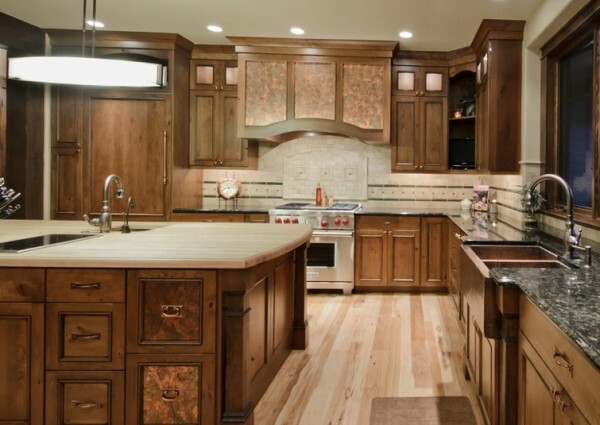 In today’s modern homes you will find copper being used in a rustic application, such as a hammered copper hood but then you may see it in modern details in cabinetry or kitchen countertops. The beauty of copper is the different finish it can show off. Whether you enjoy the high polish look with its reflectance – seen in many hanging pendant lamps over the kitchen bar or the matte finish that appears worn, copper delivers a rich quality that homeowners love. 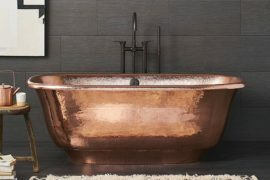 If you have peeked through any interiors magazines or walked through any show homes you will see the push to use copper to highlight architectural features and to accent fireplaces, kitchen drawers and even use them in sculptures is prevalent. 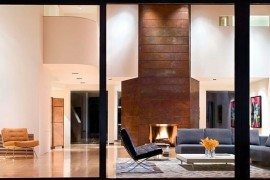 Artisans, designers and architects alike are using copper on fireplace fronts to add a focal point and wow factor to a room. 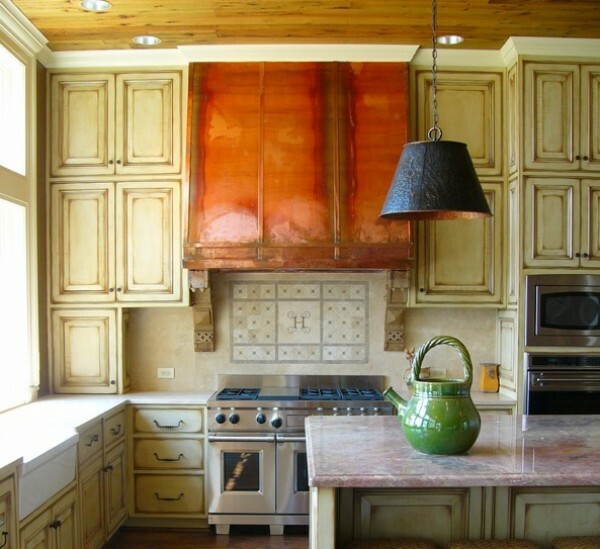 Kitchen designers are using the metal in small detailing from kitchen cabinet knobs to inlaid cabinet paneling. You will be surprised how pairing copper with natural finishes will bring highlight to the smallest of details in your interiors. If you are looking for a “Wow” factor from your guests, try using copper in eye-catching elements in the entrance of your home. 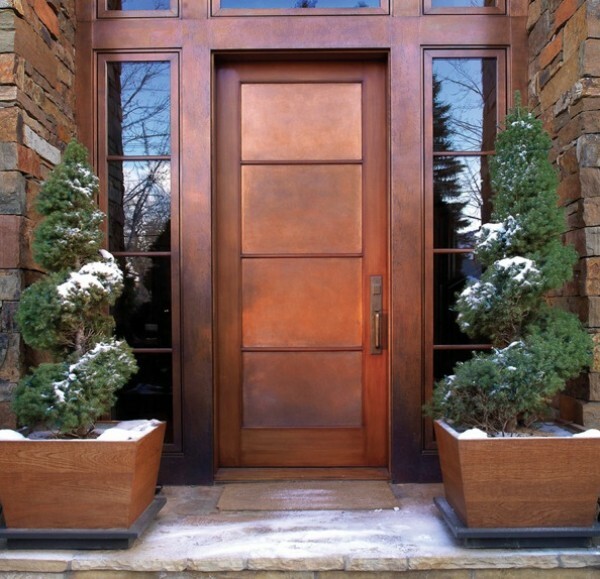 A copper front door is a dramatic and rustic way to bring attention to a mountain home. 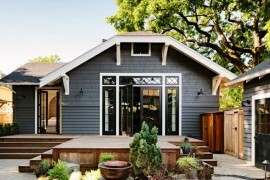 Accented with side light windows that share the same copper material and your entry will command attention. 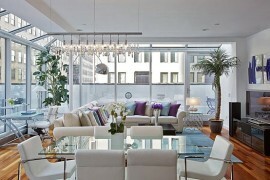 Sculptural details inside your home are always a welcome surprise. Like this copper sculpture from Bruce Palmer Interior Design who can resist their jaw dropping at this one-of-a-kind copper sculpture? 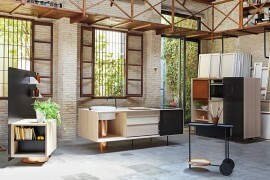 It’s all about using familiar materials in new ways, and copper definitely has found a new place in modern designed homes. 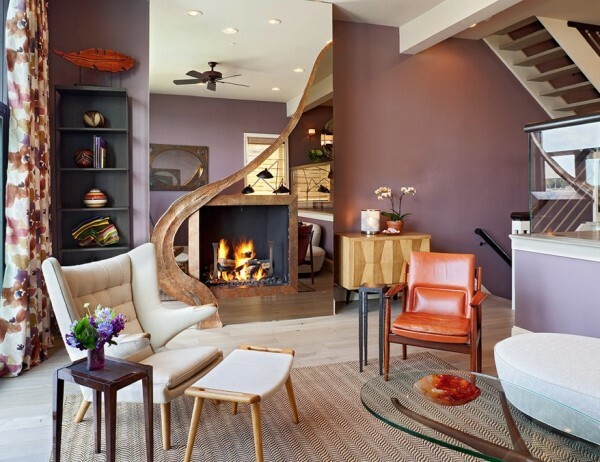 The warm glow of copper combined with the cool aesthetics it gives off is just a few of the reasons why homeowners love to use copper in their homes. If you’re trying to think of a new ceiling material, copper paneling maybe just the added material you’ve been looking for. Believe it or not, copper is showing up in every room these days and your imagination is the only limit for where it can’t go!